04/02/14 - Added pictures to this page. Okay, I've gone from crates to a finished airplane in twelve months. 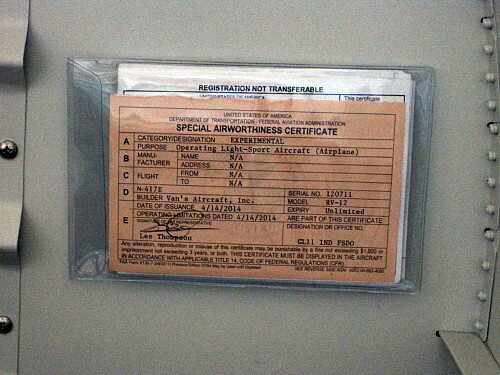 How long will it take me to get the FAA to issue an airworthiness certificate? We'll see. Conducted my initial engine start with the help of two of my pilot neighbors. It went well with only a couple of minor things to fix. A couple of days later, I conducted some taxi tests to break in the brakes, set the magnetometer, and ensure proper engine operation. It all looks good so far. 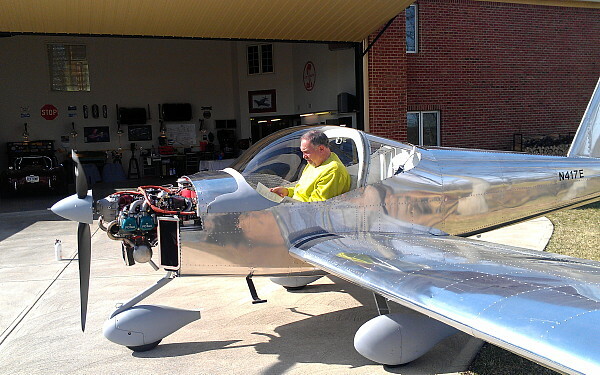 On April 14, 2014, the local FSDO office came out and inspected the airplane and declared it airworthy. 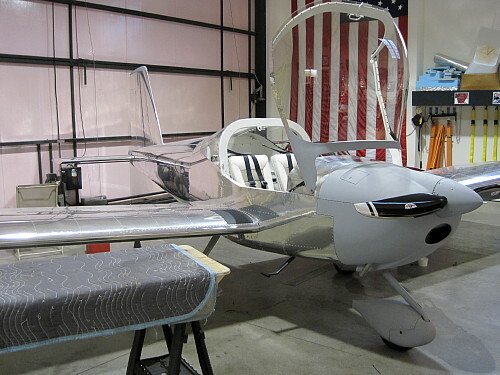 Now I just have to wait for a break in the weather to conduct the first flight. After getting my BFR taken care of, I decided that I would let Jim Winings conduct the first flight. 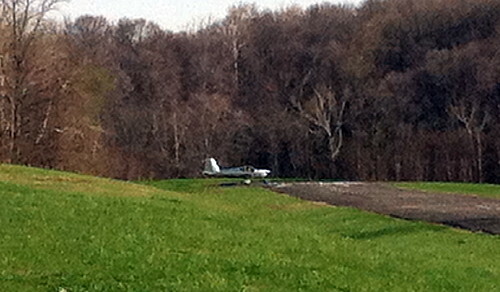 Our field is short and narrow and felt it best if an experienced pilot did the honors rather than me. 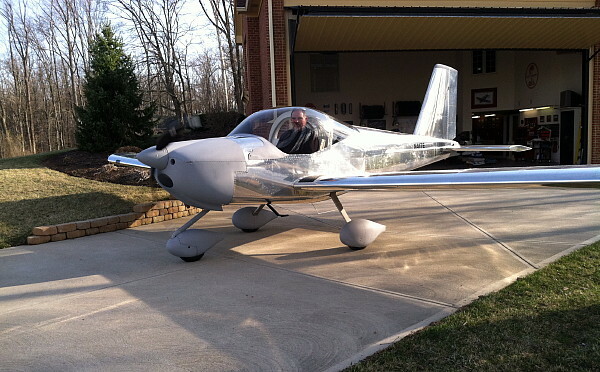 On April 17, 2014, Jim took the RV-12 up on her maiden flight. I didn't plan it this way but my registration number is N417E and the airplane first flew on 4/17. Other than a heavy left wing and the need for right rudder wedge (both common), nothing unusual was found. I've completed the entire flight testing program in 9.2 flight hours. Nothing unusual was found. 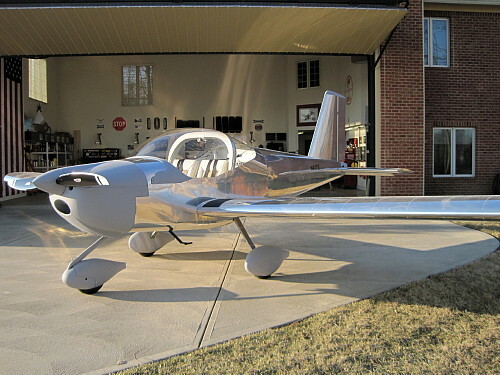 Now that I can venture out from my initial test area, it is time to start planning my cross country trip to get the airplane painted by John Stahr. That work begins on the next page.